I am pretty sure that by now, you’ll know that I am a big advocate of the importance of practicing Self-Love & Self-Care – Oui? 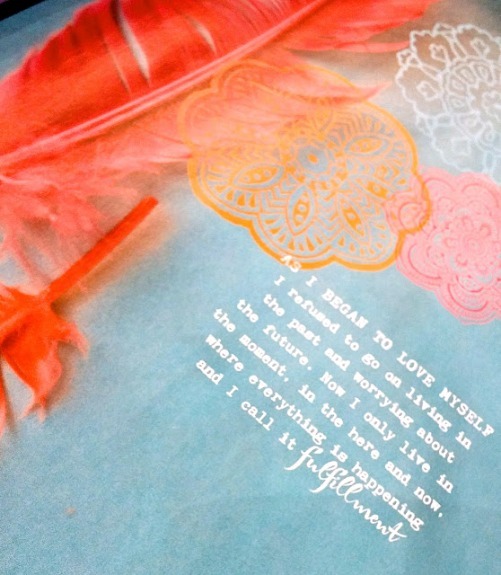 On one of my travels to India in April 2016, I came across Happinez Magazine where I read a beautiful poem by Charlie Chaplin; ‘As I began to love myself‘. This poem really touched my heart. I could so relate to it after my journey on self-discovery the last couple of years. For years, I did not know what Self-Love was, let alone practice it. I never knew the importance of it. My Mother didn’t know anything about it so she couldn’t teach me. When we moved in to our dream home in January 2014 and our life was finally as I always envisioned it, I reflected on our life since we moved to the UK in 2008. I learnt that unless I started loving and accepting myself for who I am – my authentic self, I wouldn’t be true to my daughter, family and friends and clients. If you want to know how I practice self-love and self-care, click here.